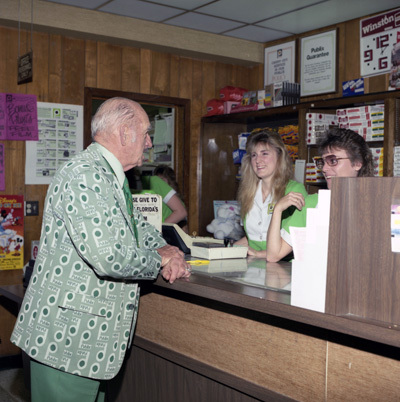 We’ve all heard the saying, “actions speak louder than words.” Publix founder George Jenkins had some pretty profound words, and throughout his life, he put those words into action. Here are well known quotes from Mr. George and the stories behind them. From the very first store, George Jenkins wanted his employees to share in the ownership of the business. Of course, on the heels of the Great Depression, he knew how hard it would be for them to buy shares of stock. So he came up with a way to help them. He gave each employee a $2 a week raise, then held the money to pay for the stock. In 50 weeks, it was paid in full, and everyone in the store was a stockholder. Today, Publix is the largest employee-owned supermarket in the nation. Mr. George knew that when people came to his office to talk about a problem or ask a question, they might feel intimidated or nervous. And who wouldn’t feel that way when meeting with the head of a company? So he had a small sign made that said, “Begin, the rest is easy.” He put this on the front of his desk so people would see it when they sat in front of him. The sign was meant to say, “Don’t feel intimidated, just begin talking, it’s easy after that.” It was his way of keeping the door of communication open to stay connected with people. His greatest joy was to be in the stores talking with customers and associates. When he visited stores, it wasn’t unusual to see him stepping in to help bag groceries or take customers to their cars. Publix associates loved the opportunity to work side-by-side with Mr. George. While customers may have felt honored to have their bags carried out by the founder of the company, Mr. George felt more honored to serve them. 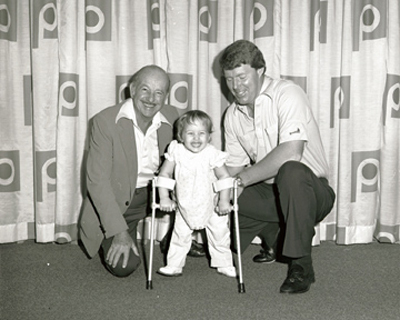 Throughout his career, he wanted to be ready for opportunities. He read extensively, and he often traveled on “idea-seeking” trips. He was always looking for ways to make the customer experience more of a pleasure. Of course, he also believed that great ideas come from the people within the company. He did more listening than he did talking. That’s a great lesson for anyone who wants to be successful! If you ask a Publix manager today what gives him or her the most satisfaction as a leader, they’ll likely say it’s the opportunity to help people grow successful careers. 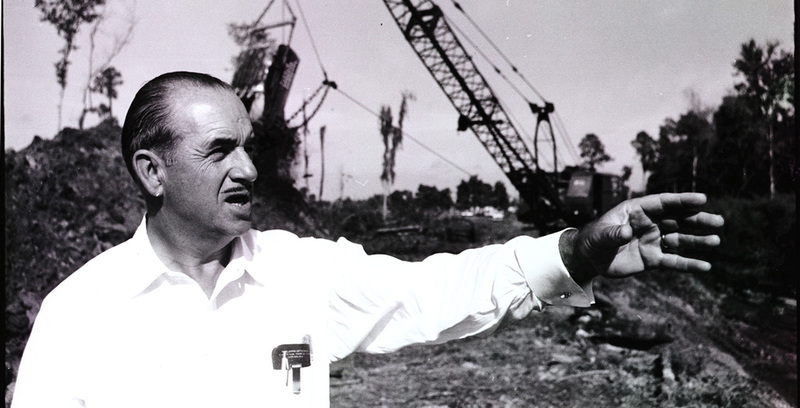 Mr. George created a company where people would not only have job opportunities, but also career opportunities. Can you imagine how many people have had Publix careers over the years? As much as he is known for his success in the supermarket industry, he is known for his generosity. He set the example for being involved in the community. He gave his time, his talent and his money. 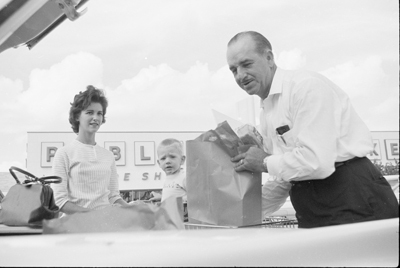 He also wanted to create a way to continue helping others long after he was gone, so in 1967 he used his own shares of Publix stock to set up a foundation. 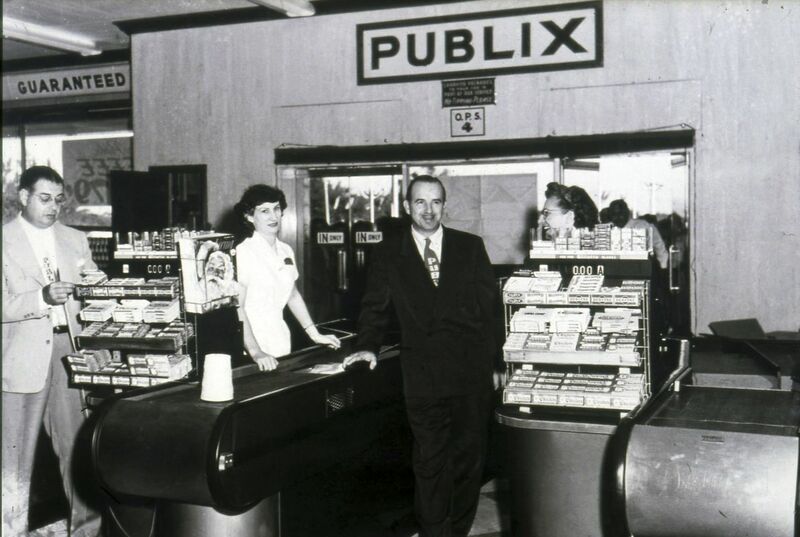 Originally named the George W. Jenkins Foundation, today it is Publix Super Markets Charities. Do you have a favorite Mr. George quote? Please share in the comments below.